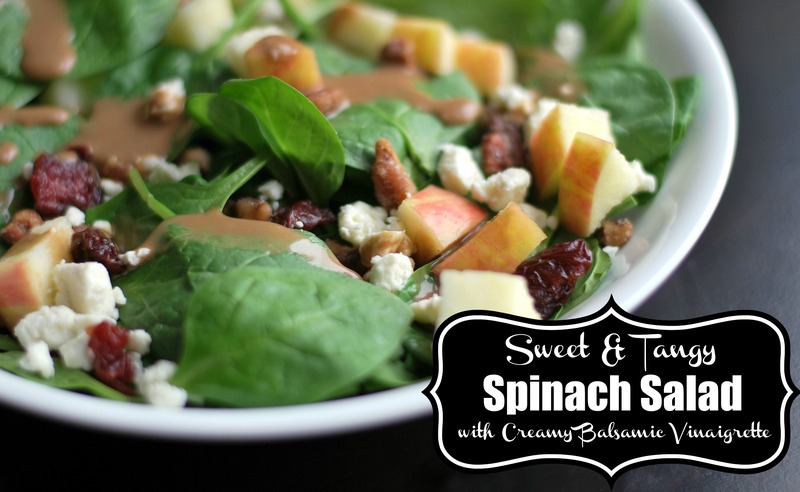 Toss spinach with apples, dried cherries, glazed pecans, and feta cheese. 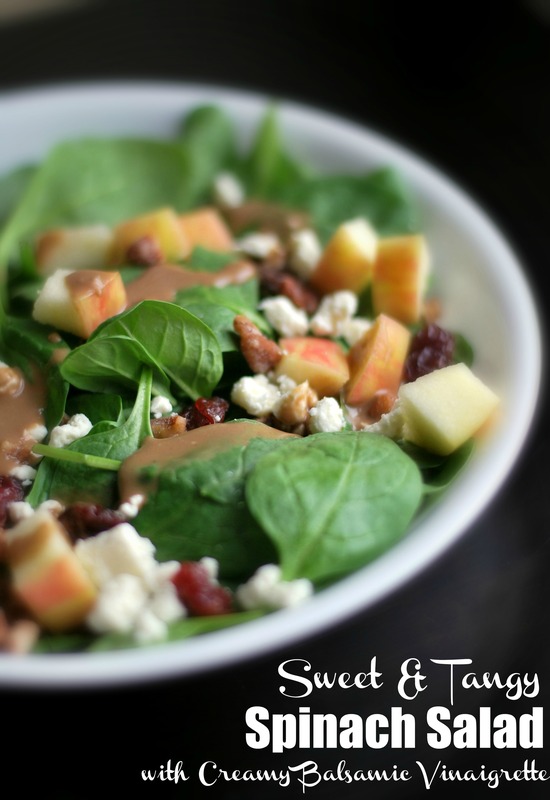 Drizzle with creamy balsamic dressing and serve immediately. Melt butter in a small skillet over medium heat. Toss in the pecans and brown sugar, stirring to coat. Cook over medium heat until the sugar begins to caramelize (about 3 minutes). Spread out pecans on a wax paper lined baking sheet to cool. Combine ingredients into a food processor or blender and blend until smooth. Chill until ready to serve.